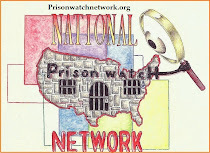 We have moved this blog to our main Prison Watch site. You can view the posts by clicking here. Thank you. Strasbourg, 27.01.2015 – The Council of Europe's Committee for the Prevention of Torture and Inhuman or Degrading Treatment or Punishment (CPT) published today its reports on the last two ad hoc visits to Armenia, carried out in April 2013 and May 2014, together with the responses of the Armenian authorities. During the April 2013 visit, the CPT’s delegation received a significant number of allegations from detained persons that they had been subjected to physical or psychological ill-treatment and/or excessive use of force by police officers. The alleged physical ill-treatment consisted in the main of punches, kicks, or inappropriate use of batons, at the time of apprehension or during subsequent questioning (in particular by operational police officers). In addition, a number of allegations were received of threats of physical ill-treatment and of repercussions for family members. In several cases, the ill-treatment alleged was of such a severity that it could be considered to amount to torture (e.g. extensive beatings; infliction of electric shocks; simulated asphyxiation with a gas mask; blows to the soles of the feet). In a number of cases, the medical examination of the persons concerned and/or the consultation of medical files by the delegation revealed injuries which were consistent with the allegations of ill-treatment made. In their response, the Armenian authorities indicate that new guidelines have been issued and that the training of police officers has been enhanced to prevent instances of police ill-treatment. In the report, the CPT acknowledges the efforts made by the Armenian authorities to improve the system of handling potential cases of police ill-treatment and welcomes the creation of the Special Investigation Service (SIS) as an independent investigative body. However, the examination of relevant documentation, including investigation files concerning complaints about police ill-treatment, revealed a number of flaws in the current system which clearly undermined the effectiveness of any action taken to detect and investigate such cases. The CPT makes a number of specific recommendations to improve the existing procedures for the reporting of injuries and the processing of potential cases of police ill-treatment by prosecutors. The CPT’s delegation also carried out a target visit to Yerevan-Kentron Prison, in order to examine the conditions under which life-sentenced prisoners were being held in the establishment. In the report, the CPT expresses serious concern that hardly any of the specific recommendations made after previous visits have been implemented as regards the situation of two life-sentenced prisoners who had been continuously held in solitary confinement for 13 years, without being offered any out-of-cell activity other than outdoor exercise for one hour per day. The Committee emphasises that the conditions under which the two prisoners were being held could be considered as amounting to inhuman and degrading treatment, bearing also in mind that neither of them was being provided with adequate psychiatric treatment, even though they both suffered from severe mental disorders. The main objective of the May 2014 visit was to review the situation of life-sentenced prisoners in the country. For this purpose, the CPT’s delegation visited Nubarashen and Kentron Prisons in Yerevan. In both establishments, the delegation received hardly any allegation of physical ill-treatment from prisoners. However, the visit brought to light that many of the specific recommendations previously made by the Committee had not been (fully) implemented in practice, in particular, as regards the detention regime of life-sentenced prisoners, restrictions on prisoners’ contact with the outside world and the systematic use of handcuffs. As regards, more specifically, the situation of the two above-mentioned life-sentenced prisoners at Kentron Prison, certain improvements were observed in terms of psychiatric care. However, the situation had remained by and large unchanged since the 2013 visit with regard to their detention regime. On the other hand, the CPT appreciates all the measures taken by the Armenian authorities after the 2014 visit with a view to putting an end to the solitary confinement of the two above-mentioned prisoners and providing them with adequate treatment and care. The Committee also welcomes the initiative of the Armenian authorities to amend the Penitentiary Code in order to abolish the legal obligation of segregating life-sentenced prisoners from other prisoners. In their response, the Armenian authorities provide further information on the draft legislation which is intended to significantly improve the situation of life-sentenced prisoners and to facilitate the granting of conditional release for them. In addition, the authorities indicate that additional steps have been taken to provide the two above-mentioned prisoners with adequate health care and more out-of-cell activities. Strasbourg, 29.01.2015 – The Council of Europe’s Committee for the Prevention of Torture and Inhuman or Degrading Treatment or Punishment (CPT) today published the report on its visit to Bulgaria in March/April 2014, and the response of the Bulgarian authorities. The visit provided an opportunity to review the implementation of recommendations made after the Committee’s previous visits, with particular attention paid to the treatment of persons in police custody and of juveniles in penitentiary establishments, as well as the conditions of detention and the provision of healthcare in prisons. The Committee notes that the vast majority of its long-standing recommendations, some of them dating back to the very first periodic visit to Bulgaria in 1995, remain unimplemented, for example as regards ill-treatment (both in the police and prison context), inter-prisoner violence, prison overcrowding, material conditions of detention in investigation detention facilities (IDF) and prisons, prison health care, staffing levels, as well as discipline, segregation and contact with the outside world. The CPT is of the view that urgent and effective action must now be taken to address all these concerns. Many allegations of deliberate physical ill-treatment of persons detained by the police (including juveniles and women) were received. In some isolated cases, they were of such a severity that they could amount to torture (e.g. truncheon blows on the soles of the feet, blows with truncheons inflicted to a person attached with handcuffs to hooks fixed to a door frame – and thus immobilised in a hyperextended position – and infliction of electric shocks using an electrical discharge weapon). In several cases, medical evidence supporting the allegations was found. No improvements have been noted as to the practical implementation of the safeguards against police ill-treatment: persons in police custody are rarely put in a position to notify promptly their next-of-kin of their detention and hardly ever benefit from the presence and the services of a lawyer during the initial period of 24 hours of police custody. Prison overcrowding remains a very serious problem despite a drop in the prison population since the last CPT visit in 2012. In addition, the 2014 visit confirmed the endemic problem of corruption. As regards more specifically Burgas Prison, the CPT is very concerned that the Bulgarian authorities seem not to have fully realised the extreme gravity of the situation in that establishment. No allegations of physical ill-treatment by prison officers were received at Vratsa Prison, which was not the case at Belene Prison, where several credible such allegations were heard. The situation was markedly worse at Burgas and Sofia prisons, where a significant number of such allegations were gathered. In several cases, the delegation’s medical members observed and described recent lesions on the bodies of inmates. The CPT was also struck by the situation at Boychinovtsi Correctional Home, where the vast majority of the interviewed juvenile inmates complained of being regularly beaten by custodial staff. The Committee was very concerned that no measures have been taken to combat the phenomenon of inter-prisoner violence which was widespread at Sofia Prison and literally omnipresent at Burgas Prison. The severe shortage in health-care staffing levels observed in all prisons visited rendered extremely difficult the provision of health care worthy of the name. The CPT has again called for a considerable reinforcement of the health-care teams at all the prisons visited. The review of the situation of life-sentenced prisoners demonstrated that little had been done to improve their conditions in the light of the CPT’s long-standing recommendations. In addition, no progress had been made as regards the removal from the Criminal Code of the sentence of “life imprisonment without the right to substitution”. The CPT’s visit report and the response of the Bulgarian Government, which have been made public at the request of the Bulgarian authorities, are available in English on the CPT’s website: http://www.cpt.coe.int. BOYCHINOVTSI CORRECTIONAL HOME, Bulgaria---Angel, 17, was due to be released soon so he was not afraid to talk about the abuse he says staff commit in Bulgaria's dilapidated and only youth prison, Boychinovtsi Correctional Home. "I was beaten a week after I arrived. They told me to come to the bathroom, it is their boxing ring," Angel, one of 62 adolescent boys locked up at the facility, said as AFP was allowed inside for a heavily supervised recent visit. "If you say something bad about the prison over the phone, the officer downstairs cuts the line and asks you to come over," the tall, thin teenager added. But others, fearful of the consequences of speaking to outsiders were not so talkative. Apart from Angel, only a few selected by staff were allowed to speak to AFP -- and none in private. "I was not beaten and I never saw the wardens using sticks," said a sheepish Sevdalin, 20, half-way through a nine-year sentence for a crime he described as "the worst". The director of the prison also denied any abuse by staff. Eight years after ex-communist Bulgaria joined the European Union as its poorest member, it is still struggling to reform its inefficient, corrupt judicial system and improve deplorable conditions in all its prisons. But Boychinovtsi has come in for particular criticism, having been the subject of two recent damning reports -- prompting a scrutinising mission by the justice ministry and an investigation by prosecutors. According to one of the reports, issued in December by rights group Bulgarian Helsinki Committee (BHC), staff routinely beat the inmates, including with bats, broomsticks and other objects. These were punishments for "speaking loudly", "smoking in the TV room" or "not cleaning well", BHC expert Zhenya Ivanova told AFP. And after the BHC visit, the boys were threatened. "They were told, 'Don't forget that they'll leave and you'll stay here, you'll leave in a wheelchair'," Ivanova said. According to the second report, from the Council of Europe's Prevention of Torture Committee (CPT) issued in late January, another common sanction applied "frequently" is solitary confinement. This took place in "cold and dilapidated bar-fronted cells, equipped with low wooden sleeping platforms and unscreened, dirty and malodorous toilets," the CPT said, calling the prison "extremely dilapidated and dirty". The facility is set in an isolated rural area of northern Bulgaria and consists of a sprawl of former military barracks built before World War II in varying states of disrepair. The inmates -- mostly aged 14 to 18 -- are serving time for thefts, assaults and even murders. They complained to the BHC about the bitter cold in the rooms, saying they did not take off their jackets during the day and slept two in a bed to keep warm. The heating was on during AFP's visit but taped cardboard substituted missing glass panes on some of the windows. In the rooms, four beds and two empty wardrobes were the only objects. There were no personal items. The boys said they washed their clothes in cold water. Hot water was available only on Mondays and Thursdays in bathrooms the CPT said were "in an outrageous condition". Campaigners have branded a crisis-hit Midland prison as one of the worst in Britain. HMP Hewell, on the outskirts of Redditch, has been hit by rocketing death rates and chronic overcrowding. It is the prison where evil Leo Barnes managed to hang himself last month – in the middle of his trial for the murder of helpless pensioners Cynthia Beamond and Philip Silverstone. But that was just one of a catalogue of problems at Hewell since it was officially opened on June 25, 2008. There have been suicides, blunders, escapes – and even a MURDER. In fact, the Howard League for Penal Reform has recorded one murder and four suicides at Hewell in the last 12 months alone. And the charity has revealed that Hewell was running at more than 25 per cent above its capacity in November – the same month a scathing report was published following by HM Inspector of Prisons. The report found that the use of force at the prison was increasing, 40 per cent of cells were overcrowded, and almost one in five prisoners had developed a drug problem whilst behind bars. A wide-ranging review of the Irish Prison Service, to include the “culture within the service” and whether it meets its objectives, has been announced by the inspector of the prison service. Judge Michael Reilly, who is independent of the Government, said he expects to have a report with recommendations for Minister for Justice Frances Fitzgerald by September this year. It is the first time the inspector has embarked on a broadly-based report into the culture and objectives of the prison service. Previous reports have included annual reports and reports into specific issues such as prison deaths or the operation of specific prison units. The terms of reference of the new review are to “to carry out an assessment of the current culture within the Irish Prison Service and the extent to which it facilitates or hinders the development of the service”, Judge Reilly said. * The present structures within the Irish Prison Service. * The roles and responsibilities of those working in the service. * Whether or not the present method of service provision meets the objectives and stated vision of the Irish Prison Service. * The training and continuous development of prison staff at all levels. Announcing the review, he said there had been positive developments in recent years, such as reduced numbers of prisoners, improved conditions for prisoners as well as new initiatives like a scheme for prisoners returning to the community. But he said it was important “these positive developments be reinforced by a positive culture at every level in the organisation and this review is meant to assist in reinforcing such positive culture”. In order to ensure that his review would stand scrutiny “from any quarter” Judge Reilly said he would joined by international expert on prison issues, Professor Andrew Coyle, emeritus professor of prison studies at the University of London.